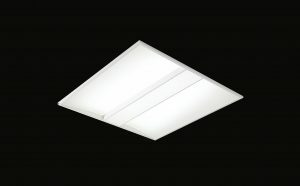 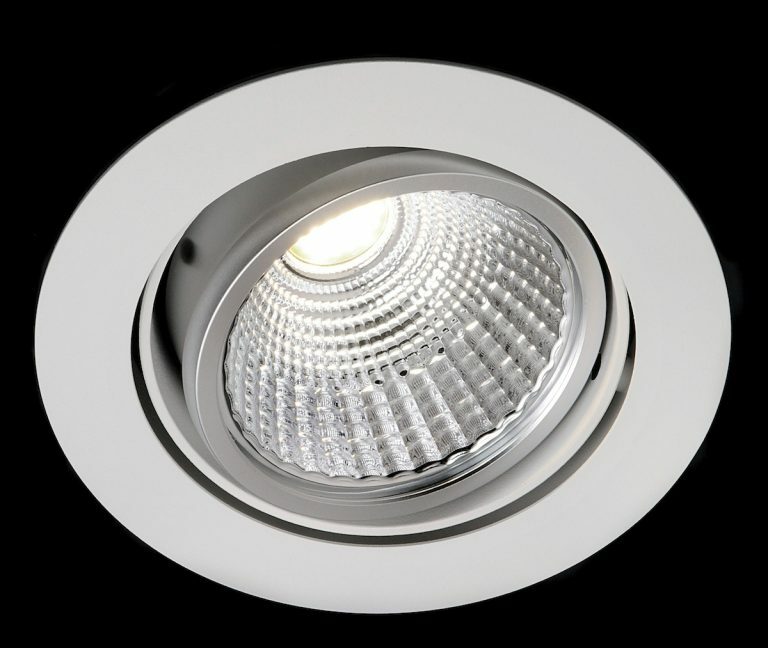 This Sovereign High Power Gimbal Downlight offers an impressive light output of up to 5025 lumens. 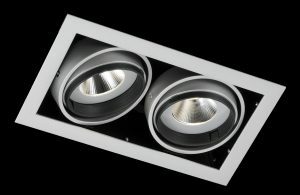 Incorporating the latest Bridgelux LED modules and a high efficiency LED driver for optimum life and energy efficiency, this gimbal downlight is a suitable replacement for high output conventional downlights. 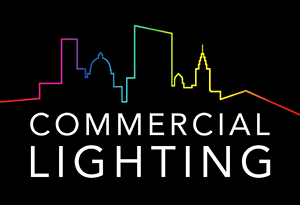 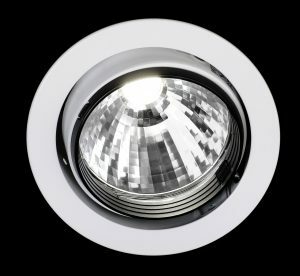 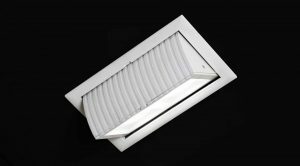 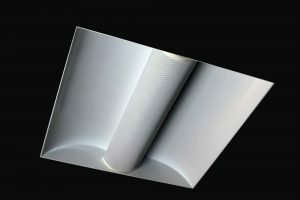 As with all our Sovereign downlights, the High Power gimbal downlight features up-to-date aluminium heatsink technology and is available in a range of beam angles. 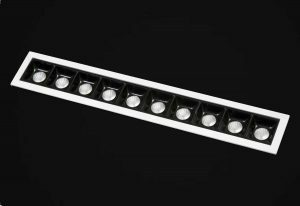 Main bezel of die-cast aluminium, with powder coated finish for durability. 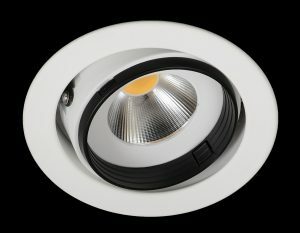 Standard colours are white or black, with other BS/RAL colours to order. 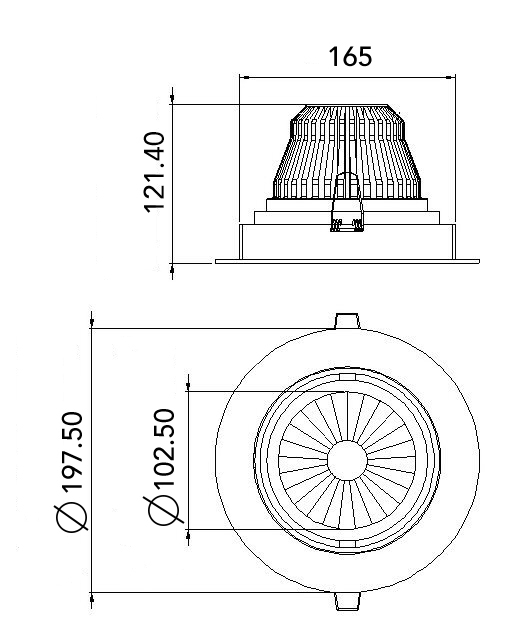 The Sovereign High Power Gimbal Downlight is also available as a twin version.